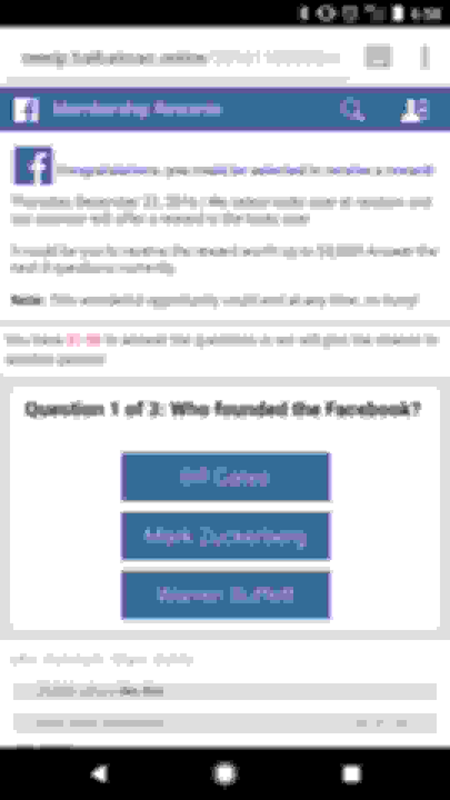 Started getting popup ads when trying to browse the forum on my phone. I use the full desktop version if that matters. 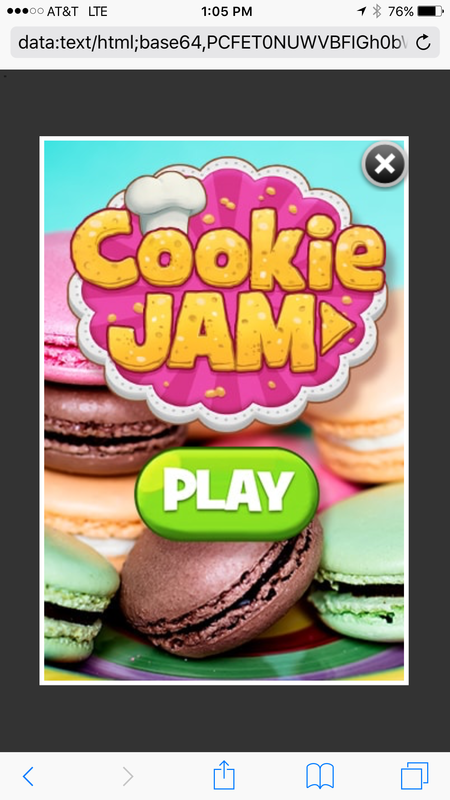 They're ads for some app or game called "Cookie Jam" and when you click the X it takes you straight to the App Store. Attached a screenshot of the ad. It comes up in all sub forums and whatnot. Not sure if it's just me that's getting them or what? Last edited by rossv1; 11-28-2015 at 12:15 PM. I'm letting IB know about this. My apologies for the intrusive mobile ads. 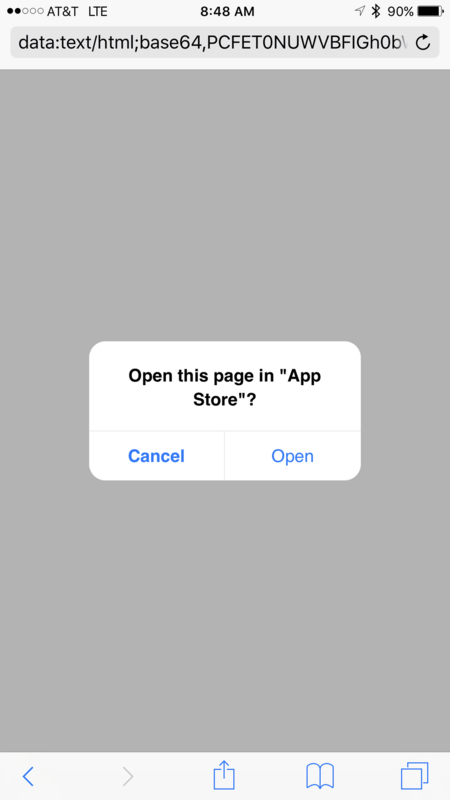 They stem from the abuse of an iOS/Android feature that lets users automatically open an app store listing using a certain type of link format. 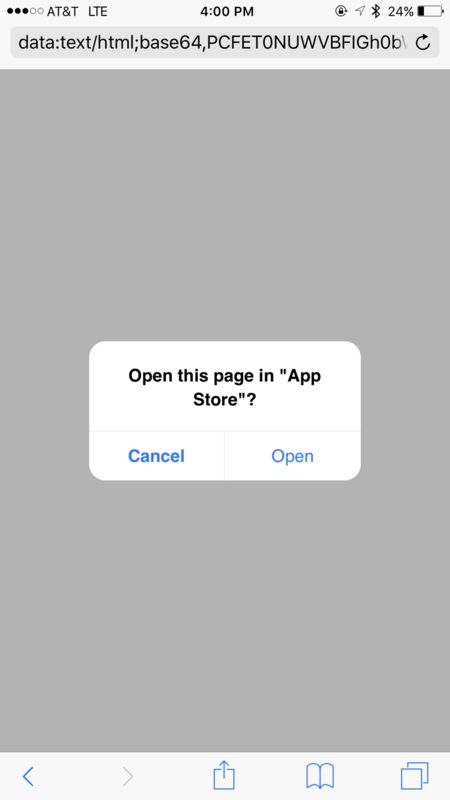 Some rogue advertisers have figured out a way to mimic this link within their own ad code, redirecting to a full-screen ad and sneaking the app store link into its display. We're currently determining which ad partner in particular is to blame for the issue, and hope to have it resolved shortly. ^Is that God talking?! God's name is Jason? If I was that powerful, it'd already be fixed. Thanks for letting us know, rossv1. We're looking into blocking these ads. Quick follow-up question for you: do you happen to recall which section of AcuraZine you were browsing when the ad appeared? It would've been either CarTalk or Ramblings, most likely CarTalk though. Thanks! If you see it again going forward, please grab a screenshot and share it here. New one this time. Came up in SB's Vette thread and again in this one while I was trying to post it up here. Now it's doing complete redirects also. Thanks for those screenshots, rossv1. 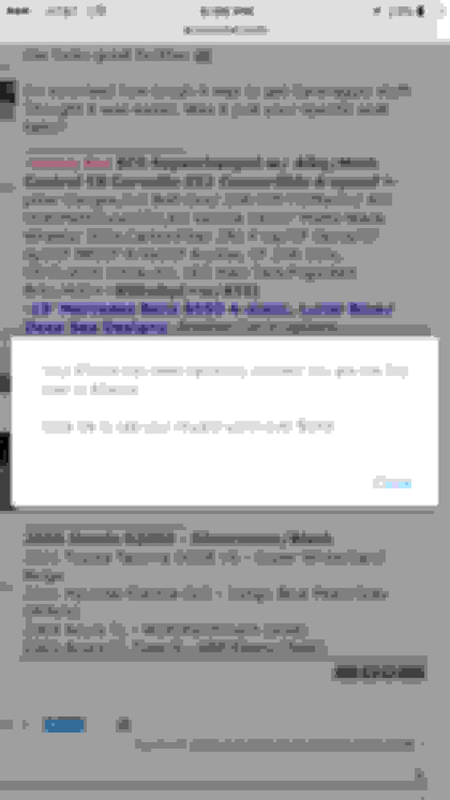 Are you seeing these redirects and pop-ups only when viewing AcuraZine in "desktop view" on your phone, or do they happen when browsing the mobile site as well? I assume they only come up when viewing in desktop mode on my phone. I don't use the mobile version so I'm not sure. Okay, thanks! We'll look into the issue. If you see any additional pop-ups or redirects, please let me know. Thanks for the screenshot. 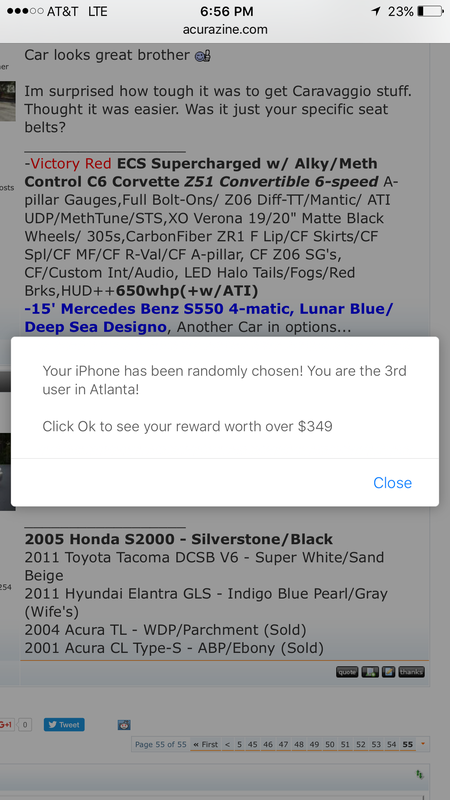 Are you still browsing the site in desktop mode (opposed to using our mobile view) when you see them? Thanks, guys. We're looking into it and hope to have it resolved shortly. i get this alot and it annoys the poop out of me. ill post screenshots when it happens. BTW also on iPhone using desktop view. 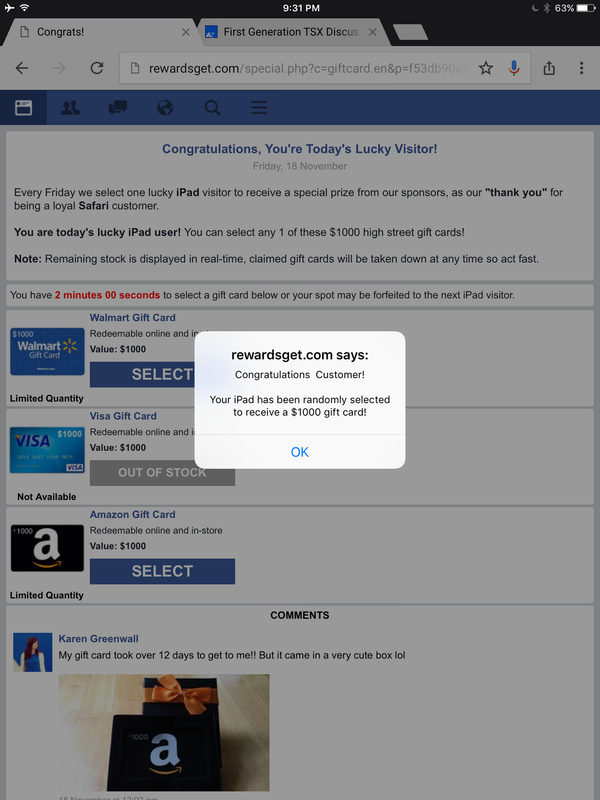 We recently blocked a wave of ads that we believe caused a lot of the unwanted pop-ups. If you see any additional ones, please let us know. Yup, it was only a matter of time. I just went into the Apple: Hardware news and discussion thread. 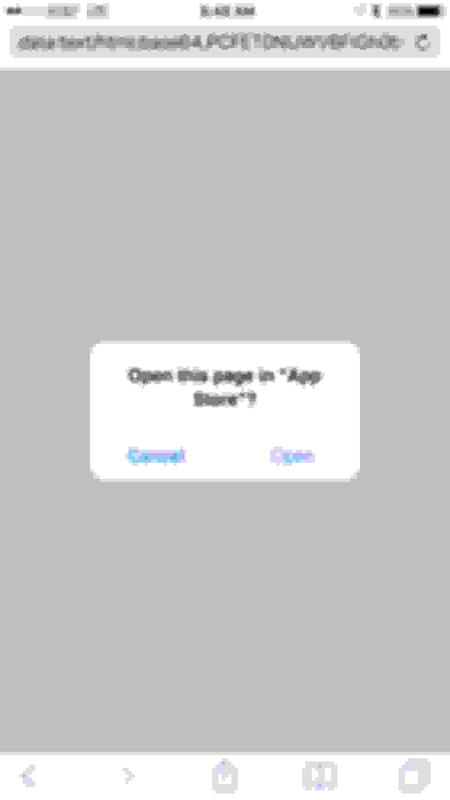 Pressing "Cancel" still takes me to the App Store. Browsing in desktop mode in Safari on my iPhone. Thanks for those details, Mizouse. I'll pass them along to our ad team to see if we isolate the source and block it. Just got this popover (or redirect, not sure). I was browsing the Westworld thread in Ramblings and my phone vibrated and this garbage took over. I thought it was a forced new tab, but it appeared to have been a same tab redirect, but I couldn't go back to the azine thread. 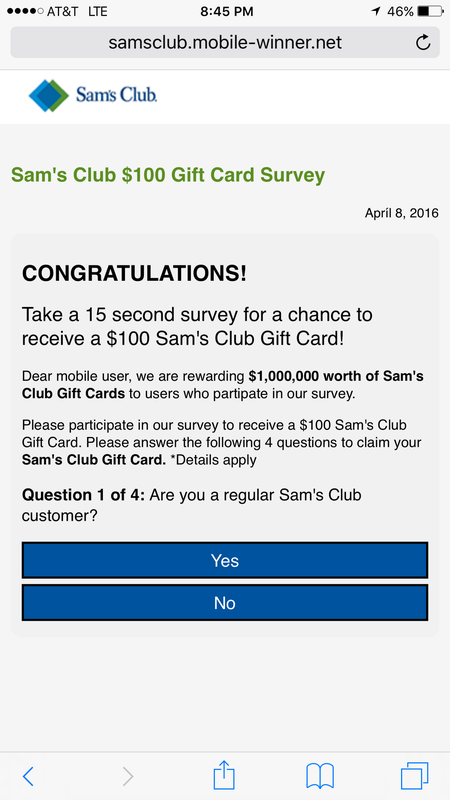 did you claim the $1000 gift card? IP address bruhhhh! It tells a lot! It's weird though, because sitting in my living room, those IP targeted ads will say Houston some days, but any number of the other surrounding cities on others. I got one oddball that had Louisiana once. I WTF'd. But yeah, I claimed the gift card. 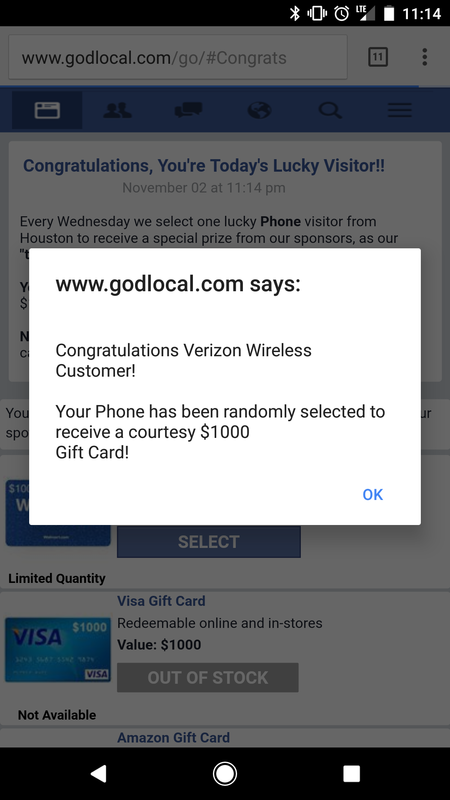 It's nice too, because I found out about God Local. This weekend, I'm getting a free haircut, some black Nike's and a new track suit. I'm pretty hyped! Sorry about the continuing ad problems. I've alerted our ad team about this latest batch and they're investigating. Google chrome iOS 9.3, iPad. 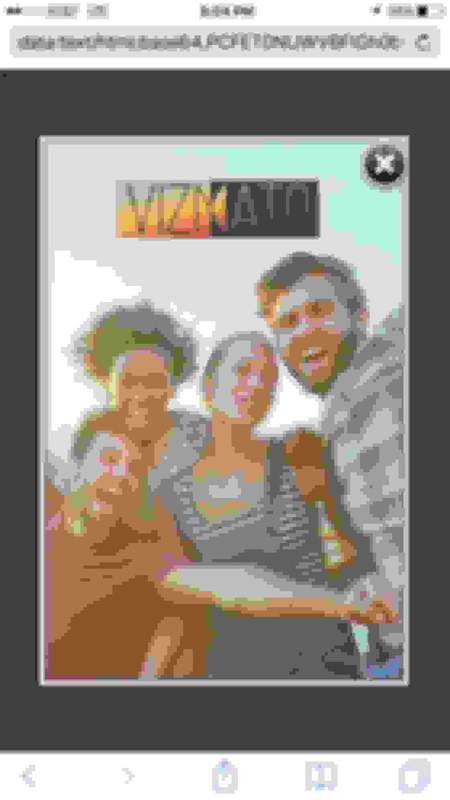 Got it when clicking on my user profile. Still waiting for my Amazon gift card.. Thanks for the screenshot. We've seen an uptick in these rogue ads over the weekend, and suspect it's a new ad provider that slipped through. Our ad team is investigating now. This time I was in the health and fitness subforum viewing the marital arts thread. same deal as before. safari for iPhone. Desktop view. 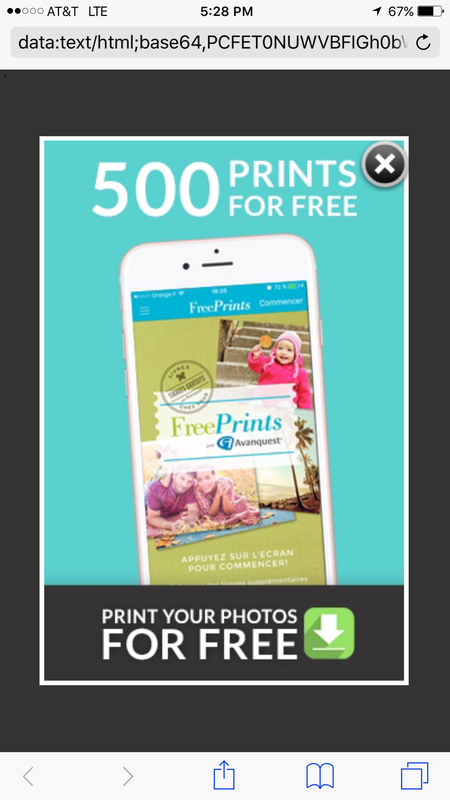 Thanks, I'll pass along your screenshot to our ad team. Still getting these pretty regularly. Android 7.1.1, Chrome 55.0.2883.91. 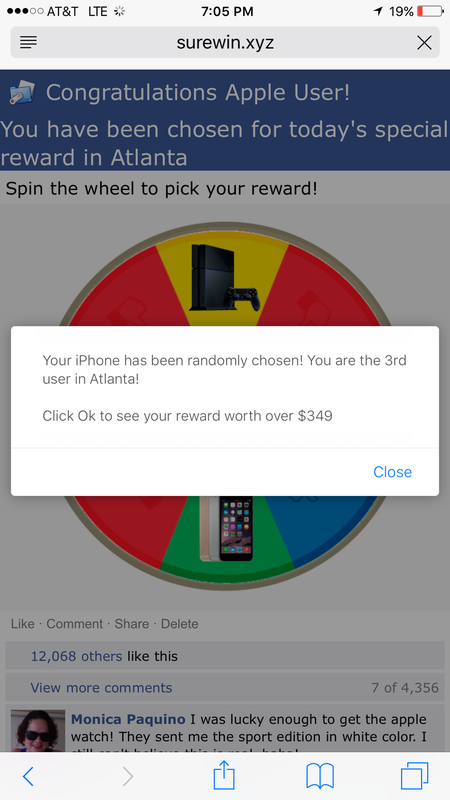 Only seems to happen with the orange "mobile" version of the site. If I ask chrome to "Request Desktop Site" or scroll down quick enough to click "Switch to Full Site" (or whatever it's labeled) it doesn't happen. Also confirmed it happens in normal and incognito mode. Thanks as always for the screenshots! I've passed them to our ad team so we can identify and block the source. Does the actual advertisement matter to you guys? I.e. I can pretty repeatedly get the issue to occur. So if it's specific sources that need to get a spanking, I can keep taking screenshots. But if it's just an "Azine need to fix a code" thing that more screenshots won't help, then I won't bother for a while. Yeah, it's based on the ad itself. To give you some background, we partner with multiple ad companies to fill our banner slots. 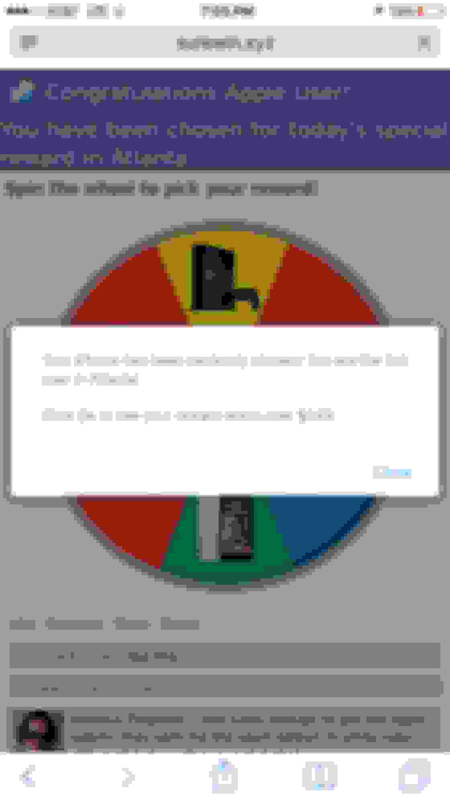 Normally they fill these slots with "safe" ads of their own, but sometimes they resell them to other companies instead. It's in this daisy-chain of ad providers, so to speak, where these rogue ads occasionally sneak in. So when we receive a report of a rogue ad, our team needs to isolate and remove that specific provider, which could be a few levels down the chain. The more screenshots and details you can provide, the better!